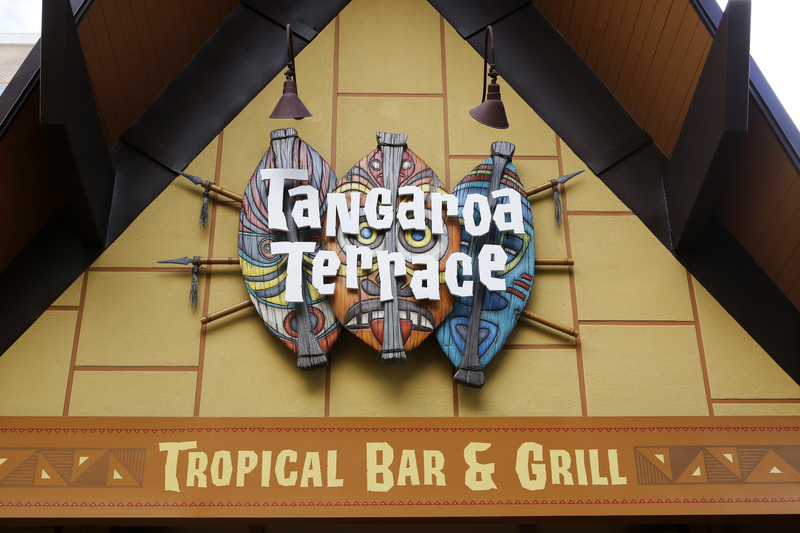 Trader Sam’s quick service dining neighbor re-opened as Tangaroa Terrace: Tropical Bar & Grill, providing a much larger capacity to the popular Southern California Tiki bar. 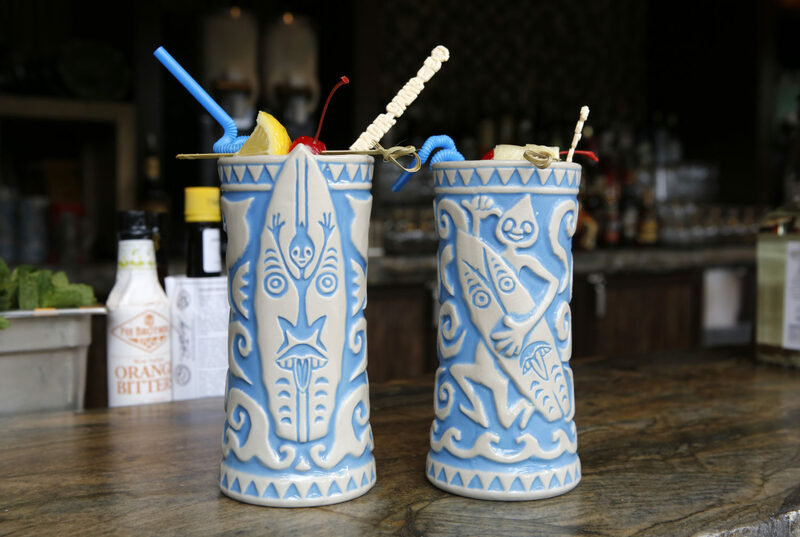 Anaheim, Calif. — No one expected Trader Sam’s Enchanted Tiki Bar to become as popular as it has become but going there, you’d understand why. 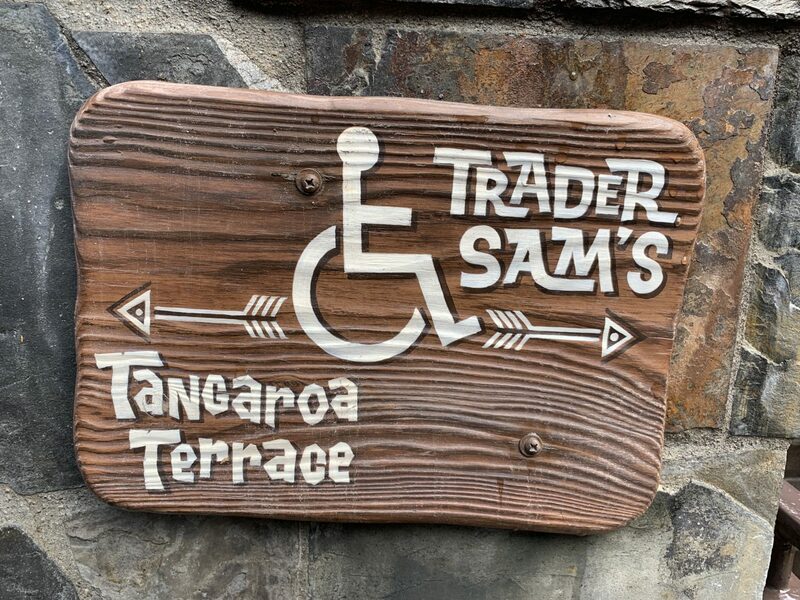 Alcohol at the resort isn’t anything new as Downtown Disney and Disney California Adventure made it all the more accessible in 2001, but Trader Sam’s, providing guests with a more themed environment appeals to non-Disney fans and Disney fans alike. 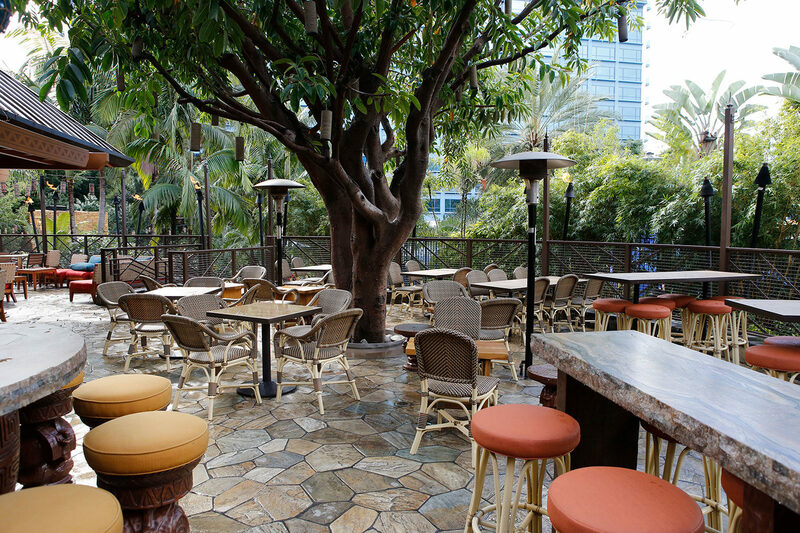 Long lines on weeknights became more and more frequent and the patio outside, only designed for a few groups filled up quickly also. 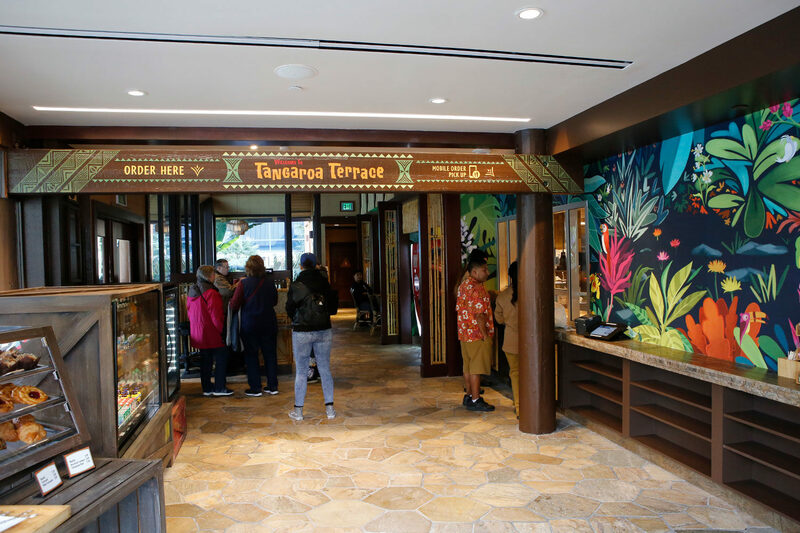 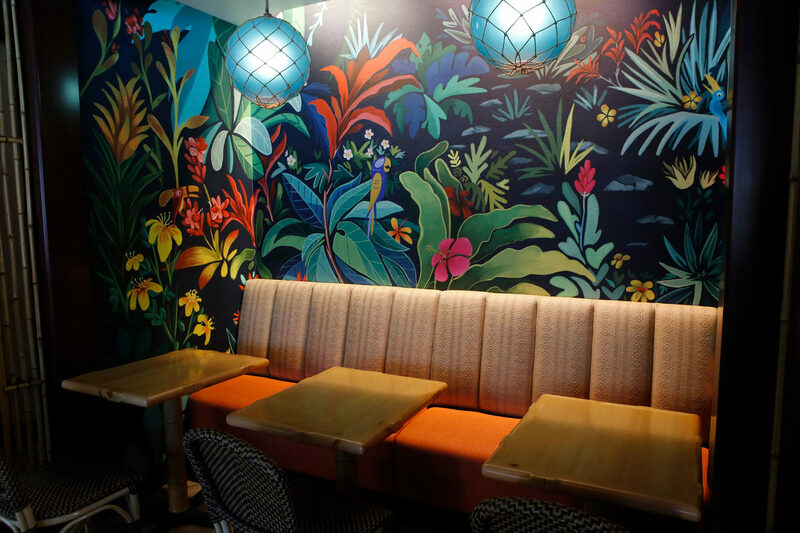 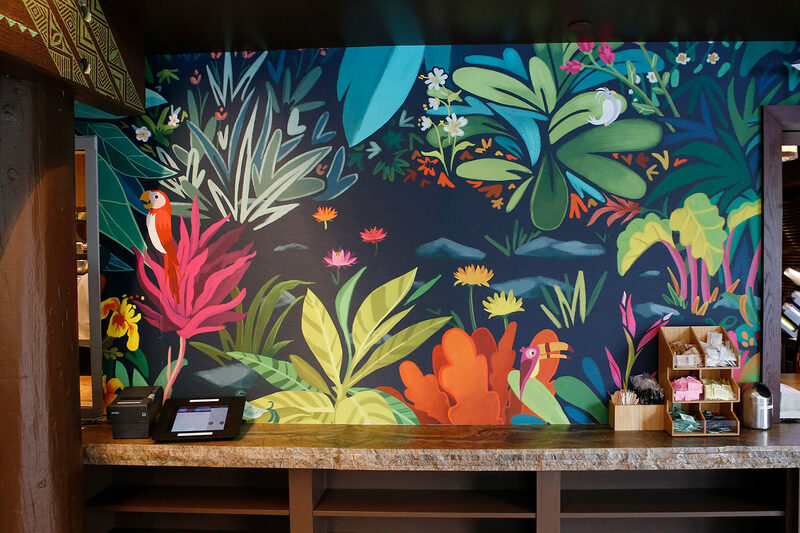 Next door was Tangaroa Terrace – Casual Island Dining, which only provided guests with quick-service food and not drinks, but after a lengthy refurbishment, that all changed this week! 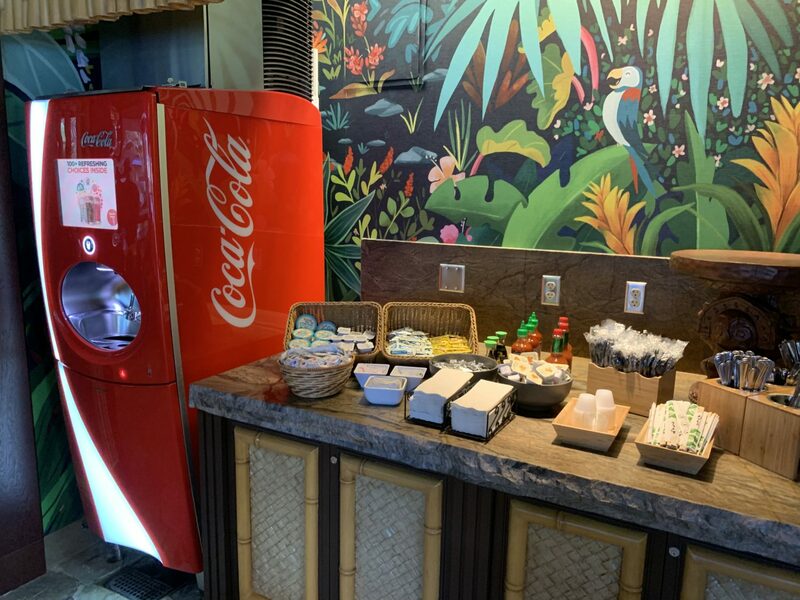 TANGAROA TERRACE – TROPICAL BAR & GRILL opened quietly on Tuesday morning, February 5, 2019 without any fanfare but just a handful of dedicated drinkers. 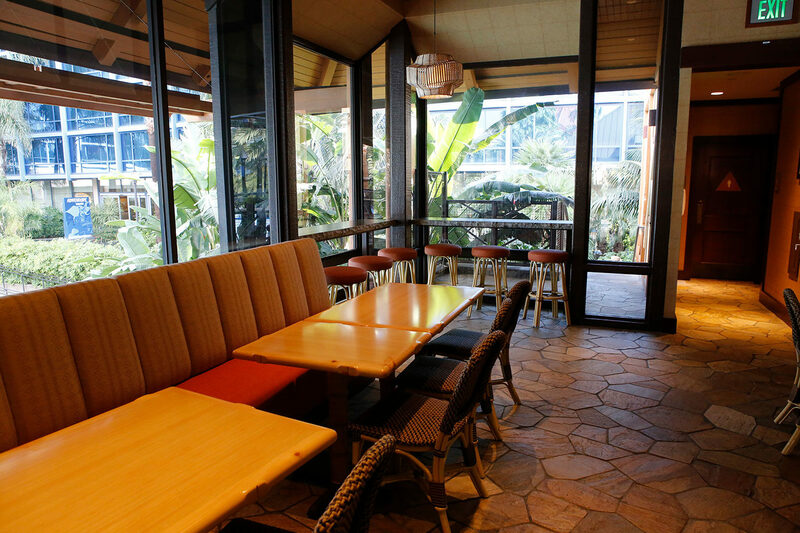 The location still provides casual island dining serving breakfast from 6:30 am through 11 am, and Lunch / Dinner from 11 am through closing. 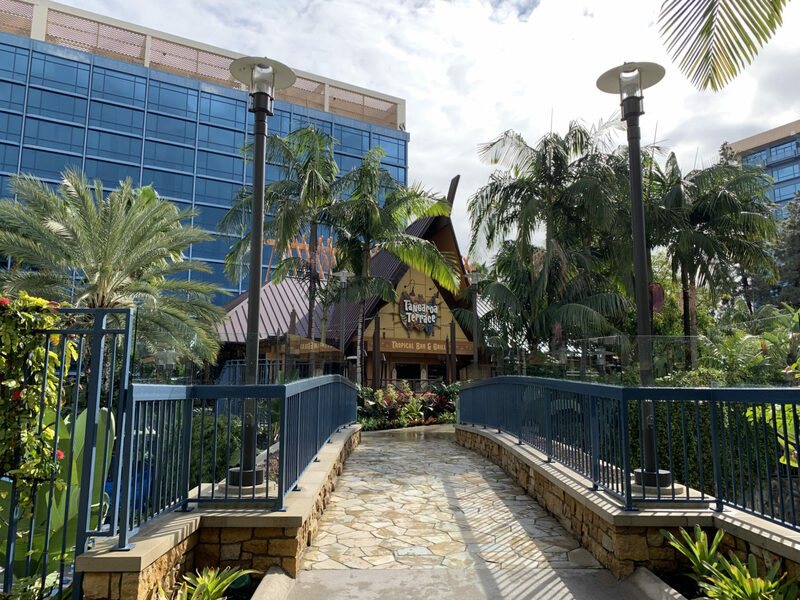 The walk-up bar, a new feature opens at 11:30am at the same time as Trader Sam’s. 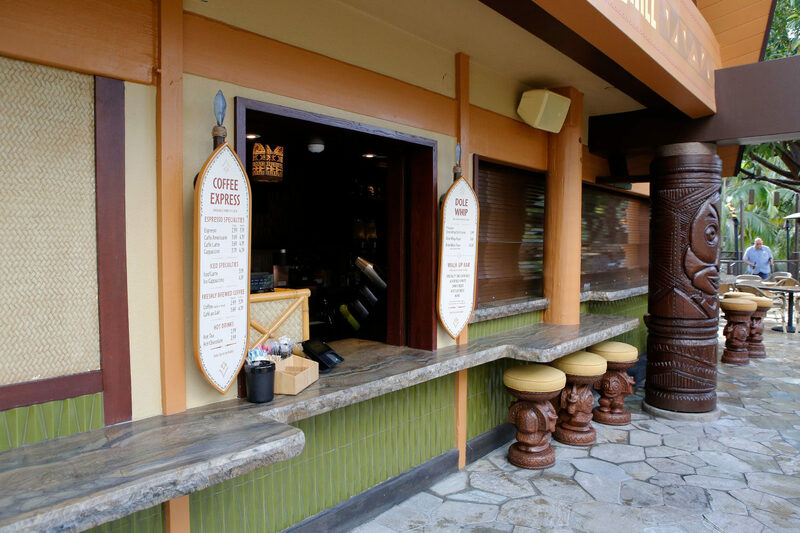 The window is for quick service coffee or Dole Whip. 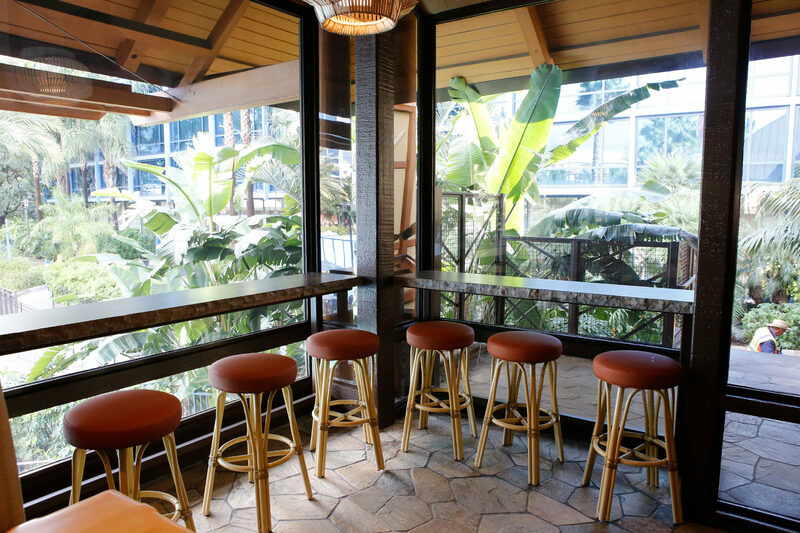 If you’d like food, you can order inside or wait for the bar to open. 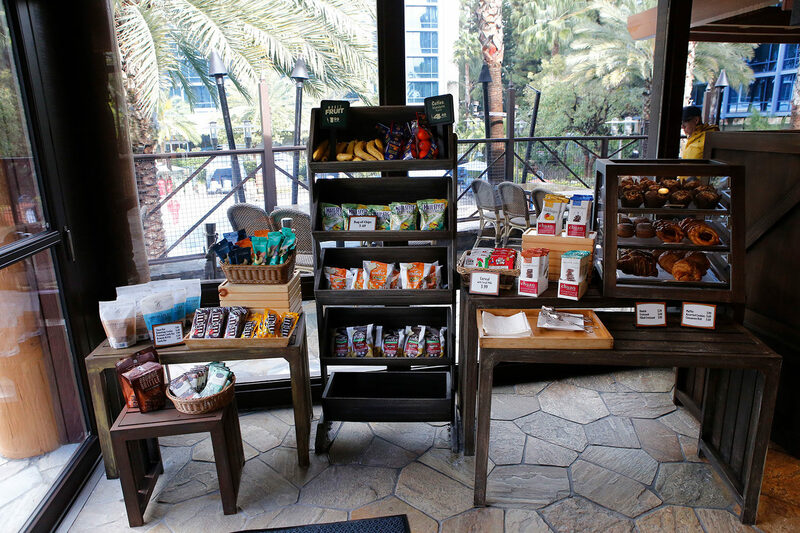 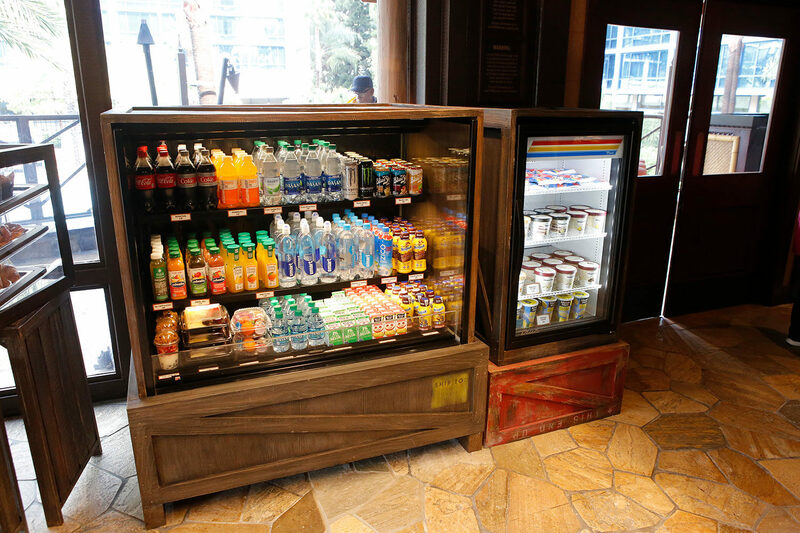 Along with the renovation and relaunch, there were new food items as well as new drinks to enjoy. 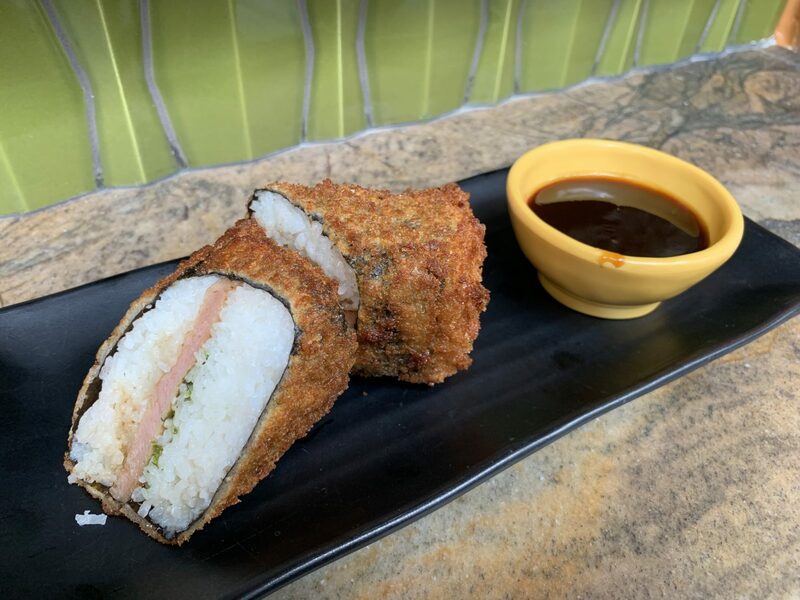 While the new food is great, it’s always great to see classics return, like the Panko-Crusted Long Beans. 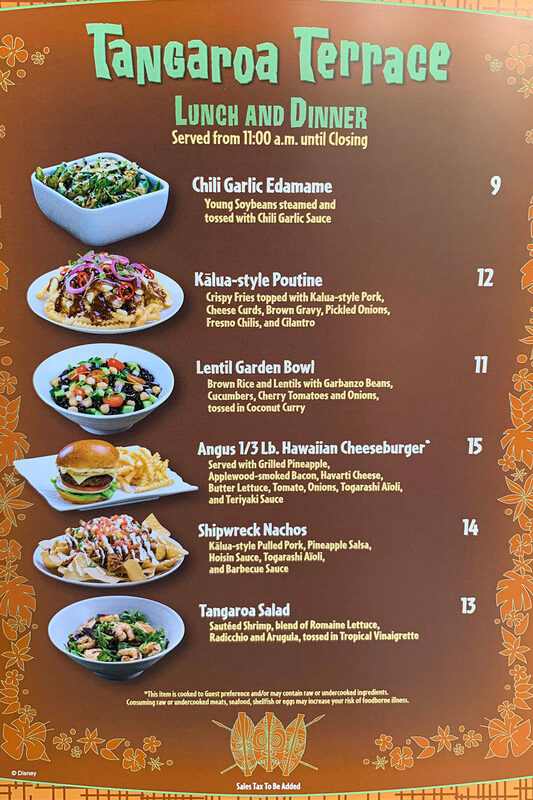 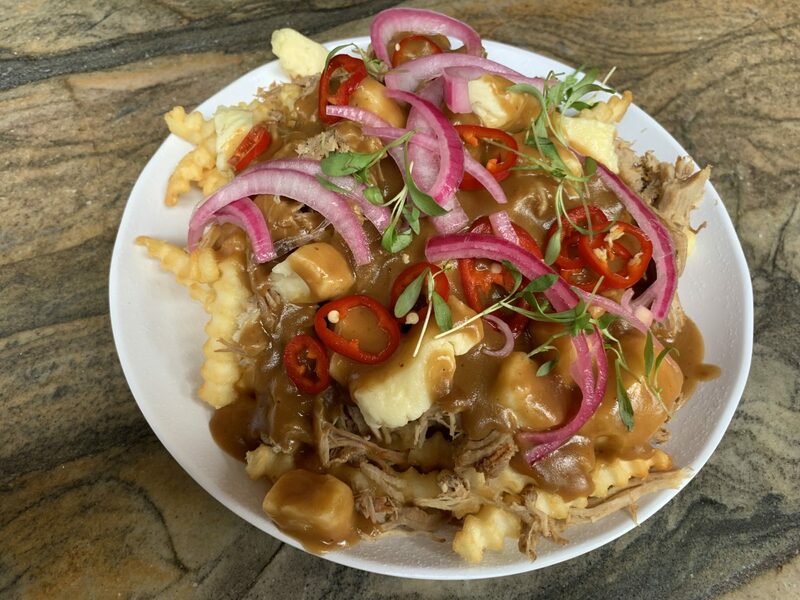 Still, many old-timers still miss the Flatbread and the Poke Bowl, but it’s still a welcome sign that there’s at least a full menu here again. 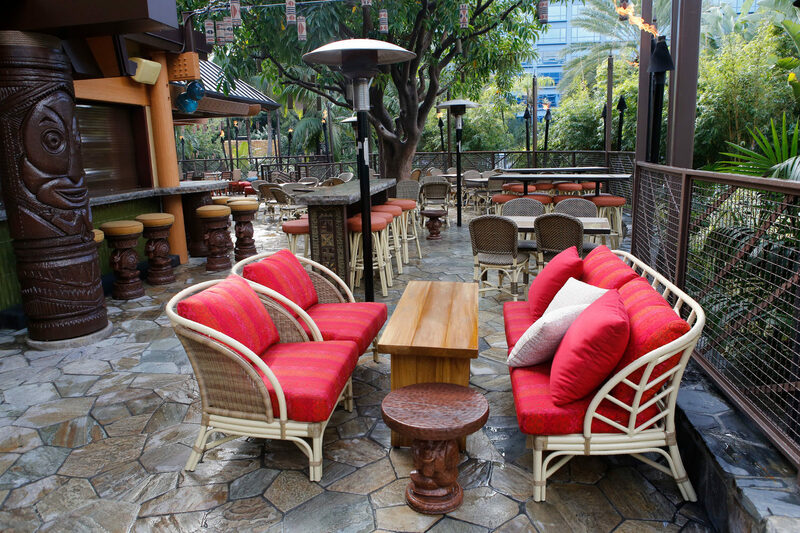 The outdoor patio and walk-up bar will really win people over, though, as Trader Sam’s is often at capacity. 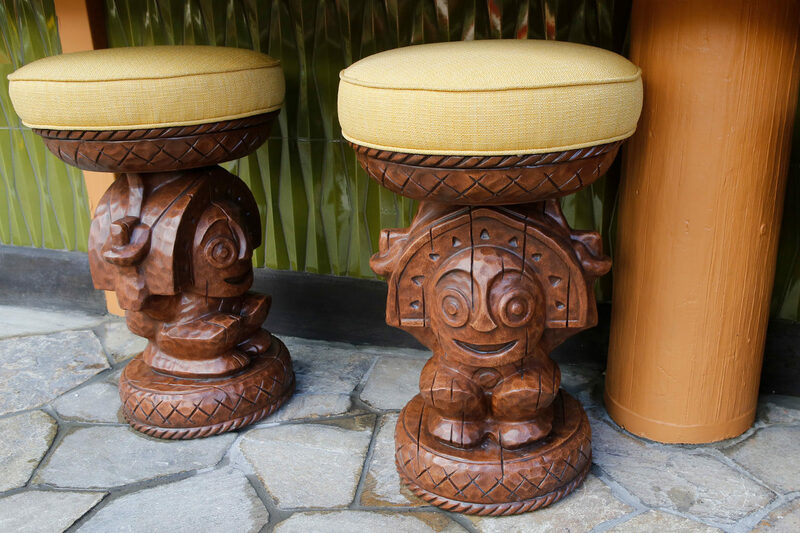 Love the detail on the bar stools too! 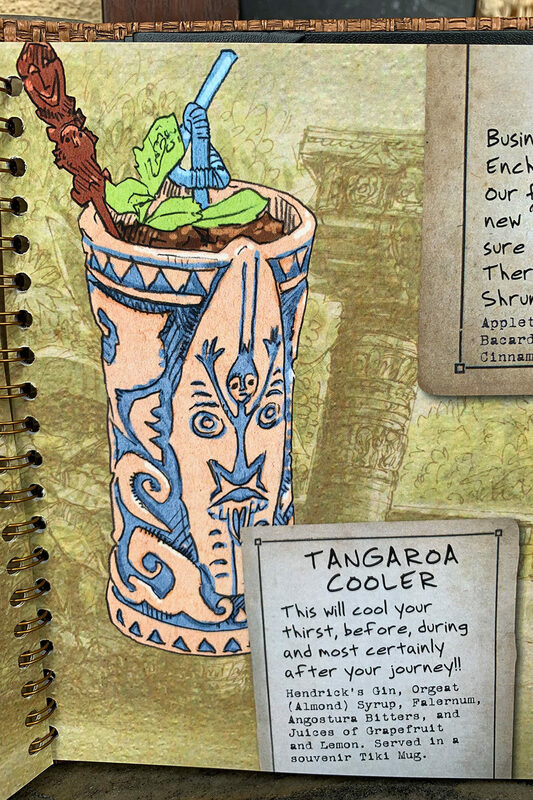 Two new drinks debut on Tuesday as well and should be popular with the regulars: Tangaroa Cooler ($38) and the Sea Monster’s Embrace ($58). 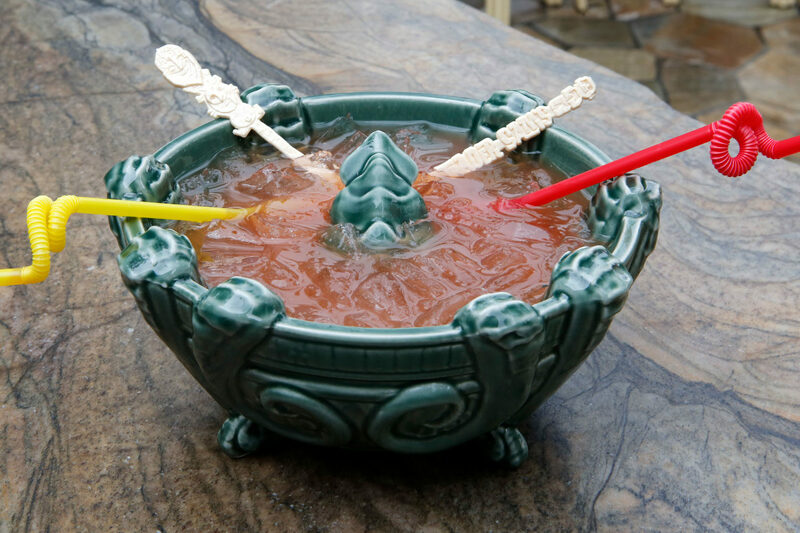 Each can come with an optional souvenir mug or bowl. 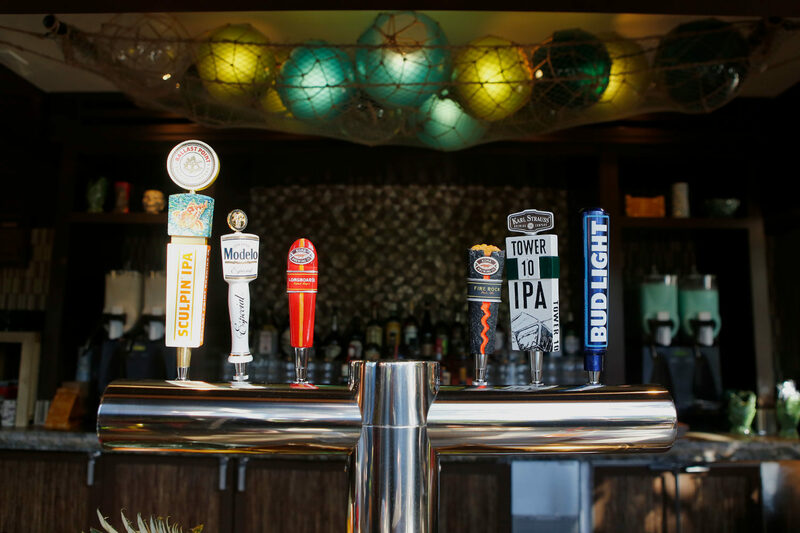 And if tiki cocktails aren’t your thing, there’s always beer and wine too. 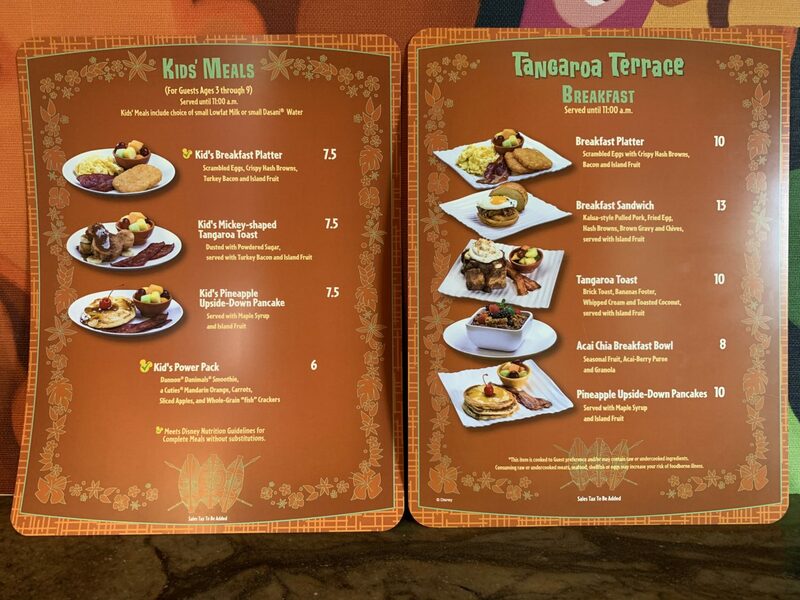 So whether you choose Tangaroa Terrace or Trader Sam’s, you really can’t lose. 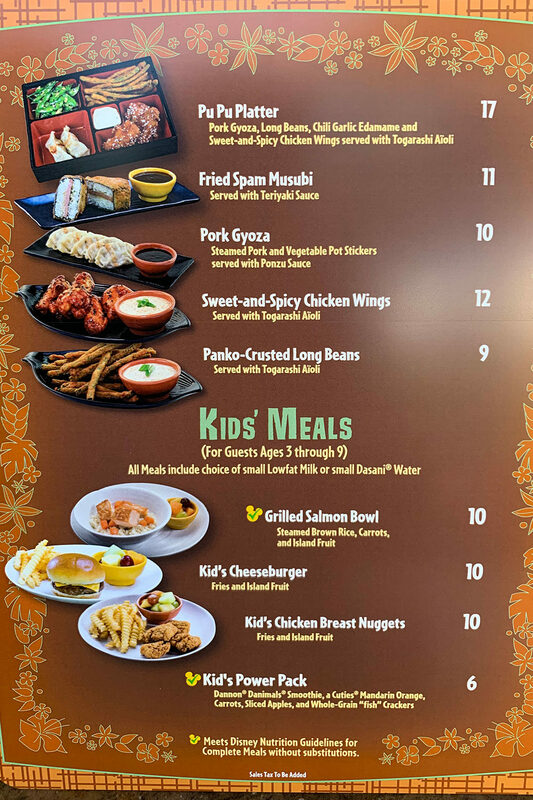 Both locations are open late for you daily. 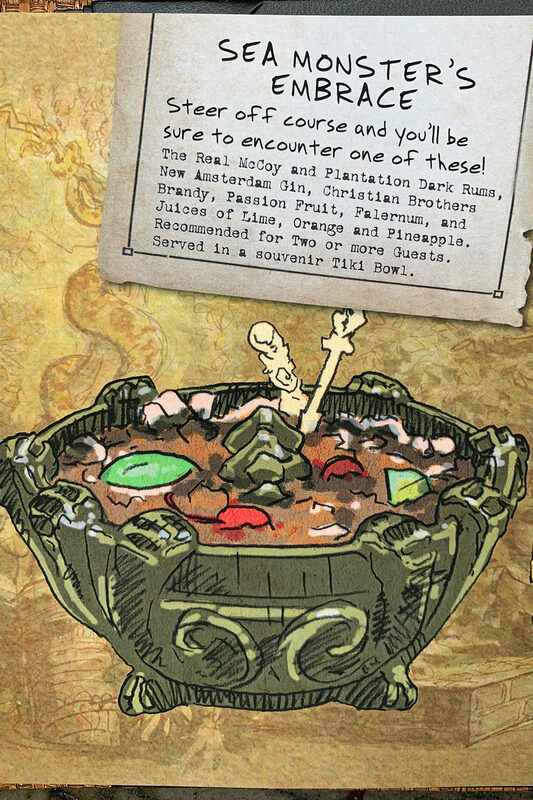 It’s been a while since we brought you an update so we decided it was a pretty good time to do it! 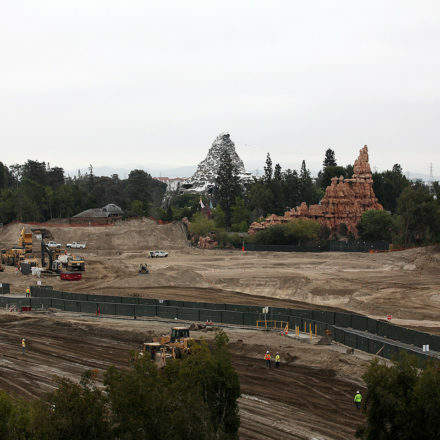 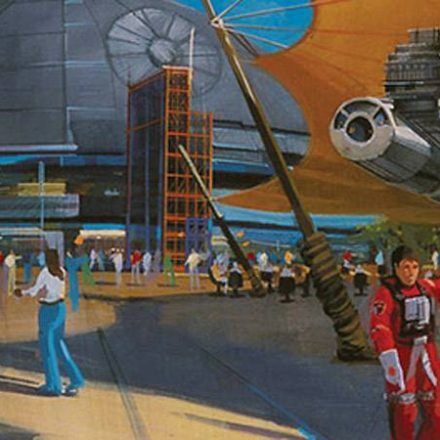 Star Wars Land coming to Disneyland?